How insane is this news!?! 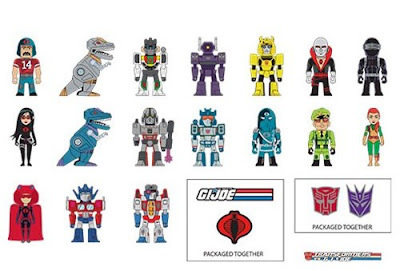 Kidrobot will be releasing an officially licensed Transformers vs. G.I. 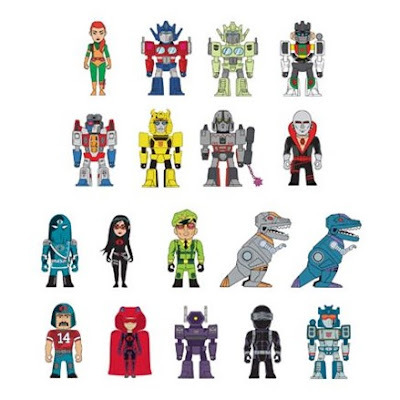 Joe Collection based on the critically acclaimed IDW comic book maxiseries by John Barber and Tom Scioli! 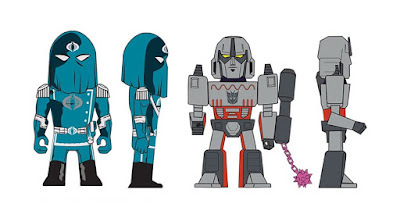 Scioli’s artwork – a stylized homage to Jack Kirby and the silver age of comic books – is amazing, and The Blot is thrilled to see it transformed into 3D collectible vinyl figures, keychains and enamel pins. If you haven’t already read Transformers vs. G.I. Joe or Scioli’s creator owned book with Joe Casey, Gødland, then you’re really missing out! The Transformers vs. G.I. Joe Vinyl Figure Collection by Tom Scioli x Kidrobot x Hasbro will include a Cobra Commander 7” medium vinyl figure, a Megatron 7” medium vinyl figure and three blind box series – a mini figure series, an enamel pin series and a keychain series – featuring your favorite G.I. 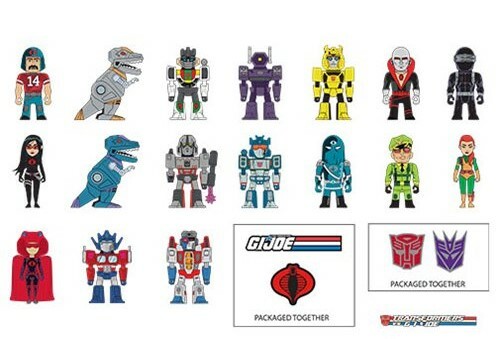 Joe and Transformers characters. 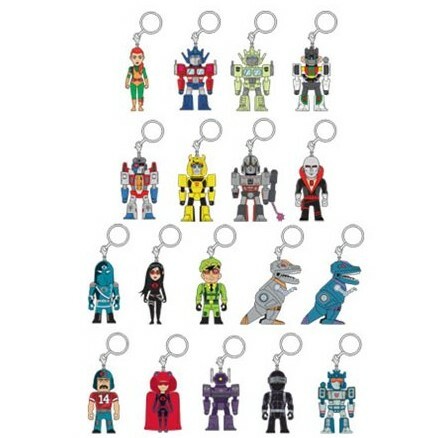 So whether you’re a fan of the heroes (G.I. Joe and Autobots) or the villains (Cobra and Decepticons) this collection has something for you! All five releases are currently available for pre-order from our friends at Entertainment Earth here.